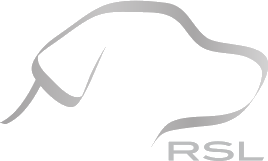 Retriever Sports is a Family owned and managed business, formed in 1978 by Tom and Katie Pope. We consistently set the high standards of manufacturing into dart products and build technical innovation into each and every component that is produced. Our commitment to providing a superior product of high quality, whilst also providing outstanding service to our customers, has seen Retriever Sports grow into the largest manufacturer of darts and accessories in the World. Indeed, we now export not only to the established Dart playing nations of the World, but we also export to and provide support to countries trying to develop darts into a major sport. At Retriever Sports, we pride ourselves on innovation, not only in creating fantastic new dart products, but also innovating the design and manufacture processes. During our history, we have continually led the way and have pioneered many new products for darts. These include, The Nylon Long Life flight, Aluminium Titan Shafts, Extra thick Polyester Flights, 2 and 3 Dimensional Flights and Aluminium Faceted Shafts. We are continually investing in the latest technology and expert staff to allow us to maintain our position as leading manufacturers of cutting edge dart products. We are very grateful to all our customers who have supported and helped us to develop and grow over the years. We look forward to being able to continue to supply all your darting needs for long into the future. Interested in becoming a distributor for Retriever? Apply for a trade account today. © Copyright 2019 Retriever Sports Ltd. Company Number 01349952.